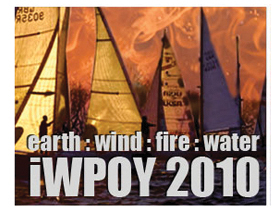 IWPOY will soon launch its 2015 Isle of Wight Photographer of the Year Competition and in a brand new section for 2015 we will also be looking for the very best female photographer from the Isle of Wight. Do you have what it takes to capture a prize-winning image? 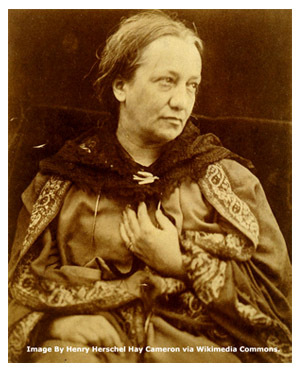 IWPOY are looking for inspiring photographers whose winning photos will take pride of place in an exclusive exibition at Dimbola to mark the bicentenary of Julia Margaret Cameron’s birthday. The 2015 bicentennial anniversary of Julia Margaret Cameron’s birth creates a timely opportunity to generate renewed interest in one of the most important and experimental photographers of the 19th century and celebrate her timeless photographic prowess. IWPOY Founder, Professional Photographer & Tutor Gary Early, said: “We’re really excited about this years IWPOY and hope to receive a great selection of images. This is a ‘money can’t buy opportunity’ and a chance for everyone on the Isle of Wight to showcase their photographic talents. Every Picture Tells A Story: Thirty stunning photographs that capture life from every corner of our globe were shortlisted for this year’s prestigious Isle of Wight photography award. Island photographer Victor Saltmeris was announced last night as this year’s winner of the coveted IWPOY prize for his image ‘Young and in Love’. Second place was awarded to Keith Towers for ‘A Quiet Space’ and third place ‘Cleaning up after a long day’ went to Ian Johnston. Michael Cooper’s image of a Misty Morning on the island has won him the title of Isle of Wight Photographer of the Year 2010. Now in its 5th year and building on the success of previous Isle of Wight Photographer of the Year Awards. The island-wide photography competition themed ‘Elements – earth, wind, fire, and water’ offered photographers, of all abilities, a great subject to capture and entries were as expected of a very high standard. It is with great pleasure that we are now able to announce the judges for the IWPOY 2008 and to thank them in advance for the difficult task that they have already started. With such diversity and quality of images this year their task is not an enviable one however, their photographic skills and backgrounds have equipped them well for this challenge. 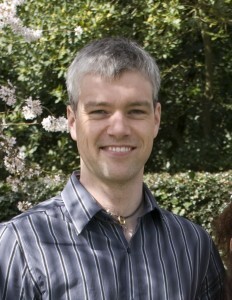 Steve was born in Coventry in 1973. After achieving ‘A’ Levels in Art and Photography, Steve started his career as a photojournalist, before gaining the opportunity to become a photographic hand printer for a leading company in the field. Here he spent 10 years learning the skills and artistry involved in crafting photographic prints for some of the country’s top photographers. 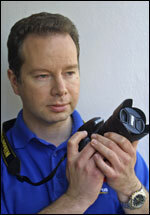 Steve started Available Light Photography after moving to the Isle of Wight in October 2000. Struck by the allure and variety of the Island’s landscape, Steve decided to use his years of photographic experience to capture this beauty. His grounding in traditional photographic techniques helped immensely when Steve took the plunge and ‘went digital’ in 2003. No longer constrained to the darkroom, Steve now has more time to concentrate on taking the unique images he sells, and printing them using the latest archival inks and papers that outlast traditional photographic media. Chris was born on the Island way back in the sixties and showed an early interest in photography, setting up a school darkroom and becoming the official unofficial photographer of 1024 squadron air cadets (of which he was a member). After a school career, in which Chris mostly stayed out of trouble, he spent some time on the mainland learning about photography at college. Returning to the Island he worked for a photographer and then moved into colour and black & white processing before going into retail. Chris has spent some time as a member of several camera clubs over the years and carried out photographic judging work in the 80’s and 90’s. Chris has worked for the Island Photo Centre for 18 years, seeing the company evolve to provide different services such as photo restoration, image recall, in-store large format printing, in-house teaching and product photography. Based at his studio in Bembridge on The Isle of Wight, where he runs his company Island Images, Ben is best known for his signature black and white marine photography and his highly successful landscape images from his book The Island. 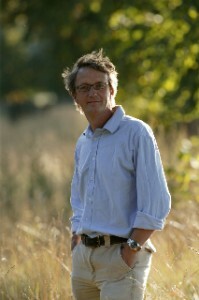 However, since re-locating to the island from London ten years ago Ben has diversified into motor-racing, equine and shooting photography. His most recent exhibition Equus showed in London and Paris and featured 40 prints from the polo fields of Apremont and the race tracks of Chantilly and Longchamps. The shell series started as a private commission and has since developed into Ben’s most current project. The shells and coral are sourced from all over the world and then photographed using very soft light in his studio. In the printing stage the giclee paper is given extra texture by applying a glaze over the image. Ben also takes on commercial commissions for a wide range of advertising, architectural and design clients and is represented in London by Getty Images and Corbis. Please take a little time to view the competition judge’s websites – there are some great images in their galleries and as photographers we can all gain some benefit from their skills and professionalism.